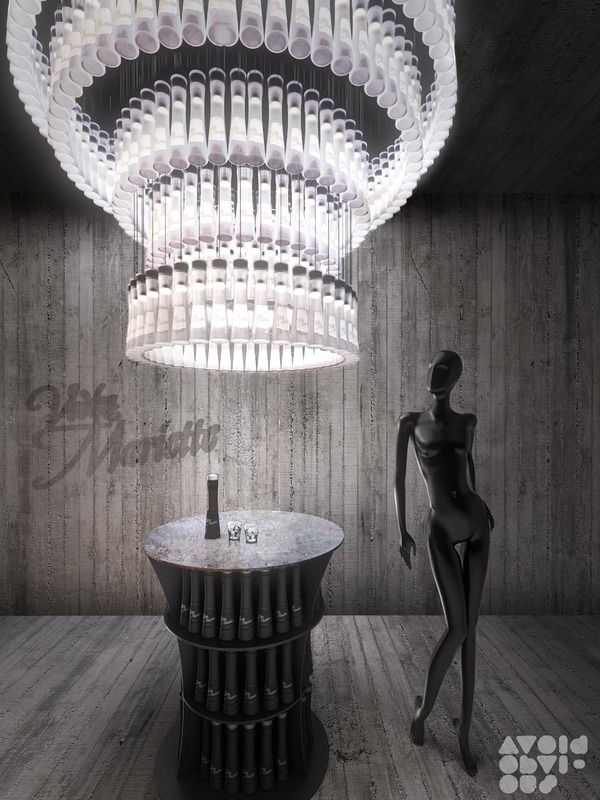 We designed a temporary installation to promote Vodka Mariette using their trademark bottles. The curve of the chandelier creates a rebellious icon along with a moody space below for vodka tasting. With the help of LED portable lights, the fixture can off the grid for greater flexibility. We are adding new drama to an existing bottles by transforming its usage and appearance. 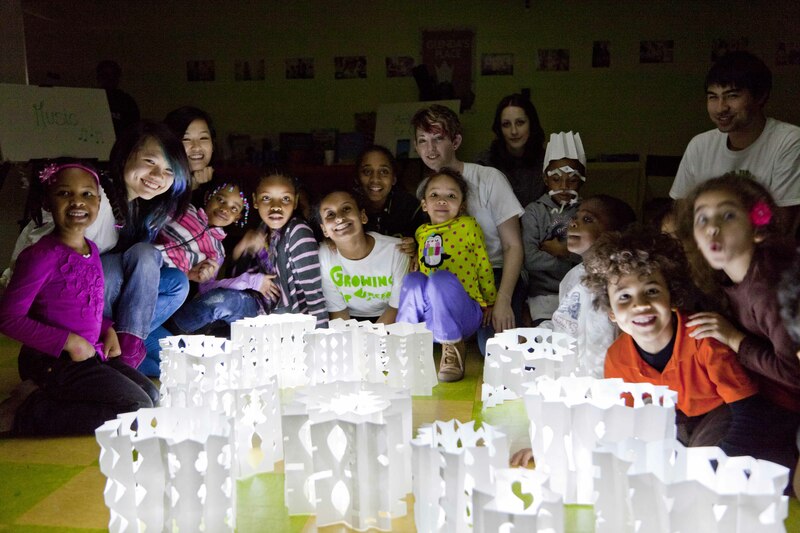 We were also using LED portable lights as an art project to teach children about lighting and shading. 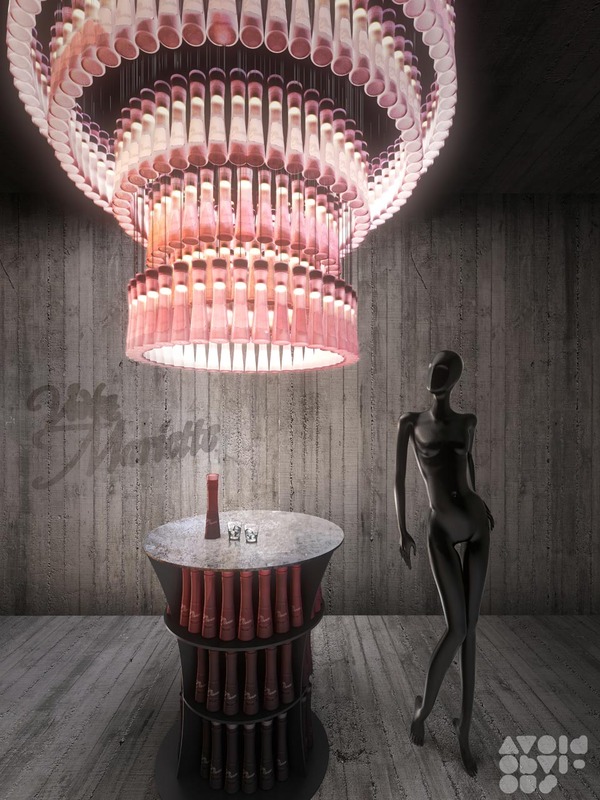 We designed a temporary installation to promote Vodka Mariette using their trademark bottles. 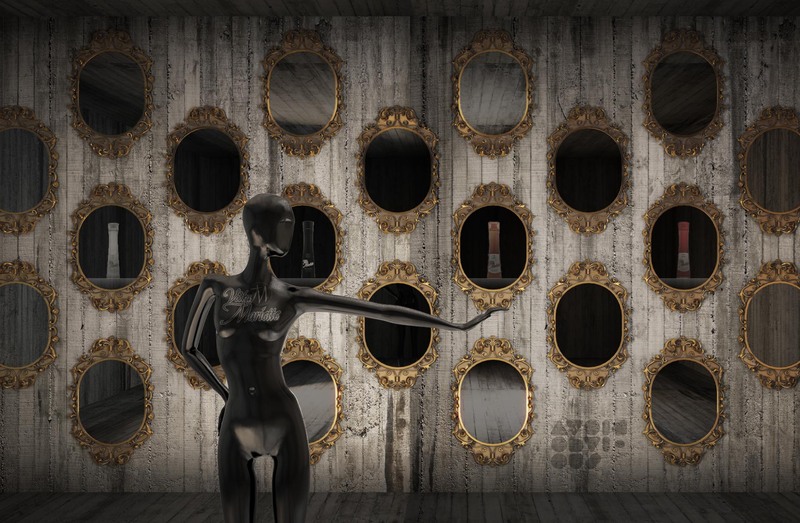 The curve of the chandelier creates a rebellious icon along with a moody space below for vodka tasting. With the help of LED　portable lights, the fixture can off the grid for greater flexibility. We are adding new drama to an existing bottles by transforming its usage and appearance. Learn more about Vokda Mariette on their website.